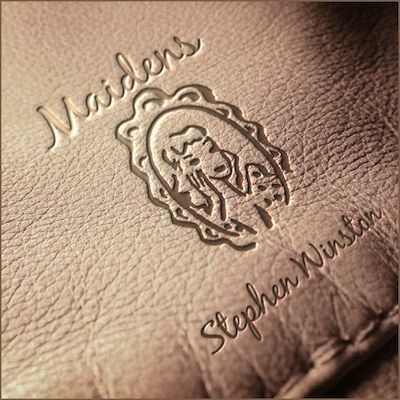 DENVER - Jan. 17, 2019 -- Musical storyteller, Stephen Winston's latest mid-tempo rootsy single MAIDENS reflects on those beautiful women chasing eternal youth and how it can become a fool's errand that only gets worse after each attempt. "'Maidens' brings a full band arrangement to bear and the carefully measured arrangement shows the sort of consideration Stephen Winston consistently brings to his material. The drumming, in particular, sets a tasteful tone for the entirety of the song." "Maidens," available Friday, January 18th, is the second single from the critically acclaimed recently released fourth album UNRESOLVED. Winston gets back to his roots, collaborating with Michael Pfeifer, who also co-produced, engineered, mixed and mastered his earlier releases The Overlook Sessions and its follow-up Gradient Nights (2011). The track features Winston on piano, guitar, lead and backing vocals, Pfeifer on guitars, keyboards and backing vocals, Blake Eberhard on bass, Christian Teele on drums and percussion, Pete Salvador on backing vocals and Steve Cooper on guitar, banjo , bouzouki, charanga, accordion and backing vocals.